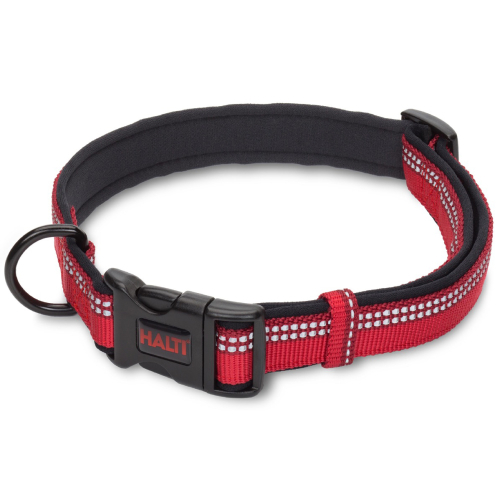 The Halti collar is comfortable and strong. Featuring a colourful two-tone design, it has strong webbing outer and a soft yet durable neoprene lining. 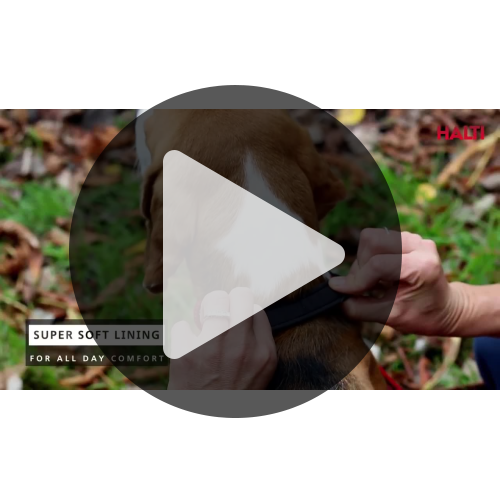 Easy to adjust, with a strong & secure button release clasp, this collar is extremely practical. Also features an extra loop for the essential name and microchip tags. •	Reflective 3M™ strip for walking visibility in poor and low-light conditions. •	Easy clean neoprene collar lining. •	Premium high-grade nylon webbing for strength and durability. •	Keepers ensure the collar stays in place.